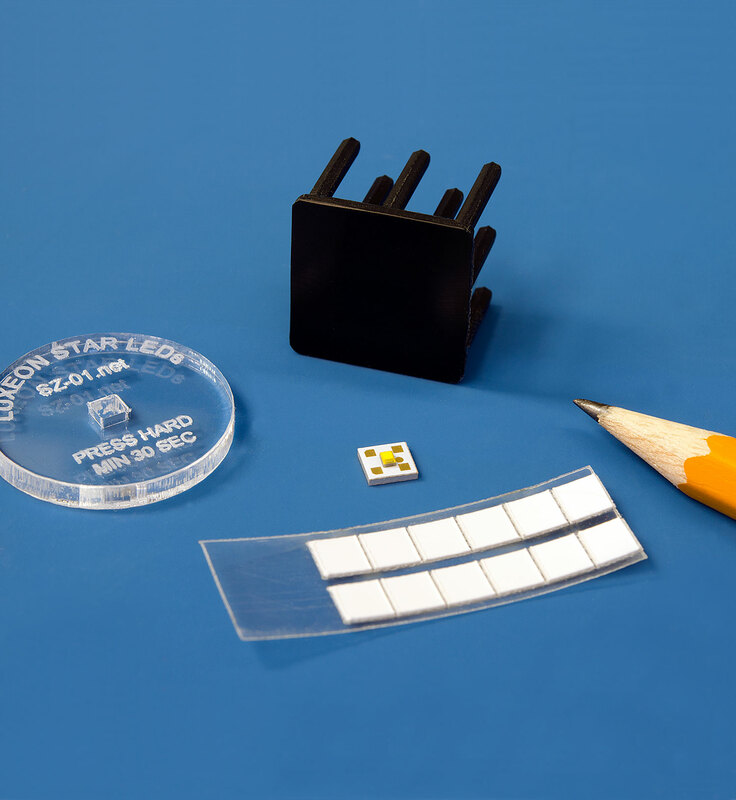 These pre-cut, thermally conductive, electrically isolating, pressure sensitive adhesive pads are precision cut to fit the Saber Micro-Z1 LUXEON™ Z LED Assembly. Made from Bond-Ply® 100 pressure sensitive adhesive tape, these pre-cut pads makes it easy to fasten the base directly to a heat sink without the need for screws, clipmounts or fasteners. Pricing is per sheet. Each sheet includes 12 pre-cut pads. Each pad is 0.20" (5 mm) square. To ensure an optimal thermal interface is created when using pre-cut thermal tape, a free Assembly Press Tool is included with each shipment of this product.